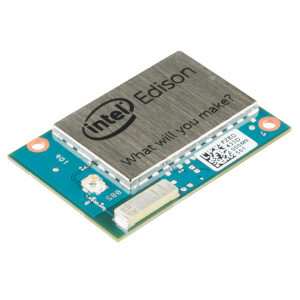 The Intel Edison module makes it easier to build an x86 embedded computer system. The module itself comes with a 500 MHz dual-thread Atom CPU core and a 100 MHz Intel Quark micro controller. The module also includes 4GB eMMC and 1GB of RAM as well as WiFi and DTLE. All on a postage stamp sized module. The module itself retails for about 50 USD, but you will need a break-out board to get started. If you want to create your own board, the pinout includes 40 GPIOs, UARTs, USBs and more. From a development perspective, the Edison platform supports development using the Arduino tools or C/C++, but support for Node.JS as well as Python is planned shortly. If you want to get away for free, the Tizen Experts are running a giveaway in an effort to get Tizen ported to the platform.